Meeting hosts Adonica Wilson and Terry Hawkins welcomed a number of POCCs and vendors at KEYPOCC's Spring Meeting held on March 17, 2016 at Alfred I duPont Hospital for Children, in Wilmington. Jane Smith, MS MT(ASCP) SI, DLM from Alere opened the meeting with a talk on "Your First IQCP Inspection". 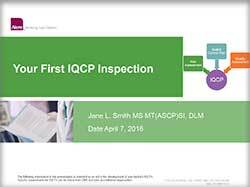 Jane's presentation highlighted Updates on IQCP from CAP, CMS, COLA, and TJC; observations from Completed IQCP Inspections; and IQCP Inspection Helpful Hints. 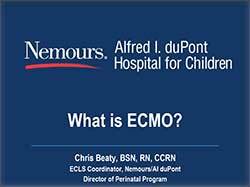 Christopher Beaty ECLS Coordinator, Nemours/AI duPont Director of Perinatal Program, then presented "What is ECMO". This talk defined ECMO as a modified heart-lung bypass technique used to treat reversible cardiopulmonary failure that is no longer responsive to maximal conventional therapy � with more than 50,000 infants, children and adults treated to date. Steve Valorz covered some of the POC related programs as "The AACC Annual Meeting is Coming to Philadelphia" including multiple ways to attend this summer's event. 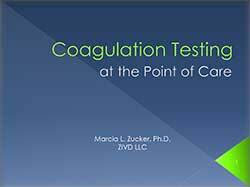 Marcia Zucker, Ph.D., concluded the day's presentations with "Coagulation Testing at the Point-of-Care" which featured details on coag testing, heparin and its effects on coagulation, ACTs and more. Mary Snyder led a roundtable discussion that featured the handling of Competency Assessments, Document Control of such competencies and available software programs to assist with the documentation, Critical Criteria Protocols, Operator Competency Completion Accountability, and other various topics. This was followed by a brief business meeting. Minutes are posted on the KEYPOCC Website... click here. The next KEYPOCC meeting will be on Thursday, June 16 at Evangelical Community Hospital, Lewisburg, PA. Mark your calendar and save the date for this event. 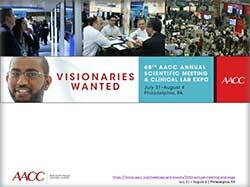 The AACC Annual Meeting and Clinical Lab Expo will be held in Philadelphia this year from July 31 - August 4. The following attendees won free entry tickets to the AACC CPOCT Division POCC Forum held on Thursday morning, August 4, 2016. Jane received her BA in Medical Technology from the University of Tennessee at Knoxville, and received Master�s Degrees in Science Education and Environmental Engineering. She worked as an Immunology supervisor for 30 years at the University of Tennessee in Knoxville before joining the Alere Clinical Immunology Group. In 2011 she was one of the founding members of Alere Scientific Affairs where she now serves as a Technical Manager. Jane has been active in volunteering nationwide for CAP inspections. She also has volunteered on CLSI POCT04-A3 (Point of Care IVD Testing) and QMS03 (Training and Competence Assessment) documents. Jane is currently directing a cross functional IQCP team to provide IQCP support materials for Alere products. Chris has over 10 years of critical care and ECMO experience. He has delivered educational ECMO lectures within the organization as well as in national and international forums. He is the Simulation Director for the Extracorporeal Life Support Organization (ELSO) providing ECLS simulation and lectures around the world. Marcia Zucker is an independent consultant specializing in all aspects of point of care diagnostics. She completed her bachelor�s degree at Rensselaer Polytechnic Institute, Ph.D. at Princeton University and post-doctoral fellowship at Yale University. She lectures both nationally and internationally on point of care applications and maintains affiliations with several professional associations. Marcia is a past- Chair and remains active in the AACC Critical and Point of Care Testing Division, chaired the National Academy of Clinical Biochemists guideline writing committee for point of care coagulation and is a member of the Clinical and Laboratory Standards Institute (CLSI) Expert Panel on Point-of-Care Testing.